"10 Annual Certifications in Canine Detection." Seattle’s Best Pest Detection is the only place to call for effective, independent and honest bed bug detection and services in Seattle and Washington State. Tony Haigh has certifications from Florida Canine, Falco K9, Rocksolid K9 and Puget Sound Detection dogs. 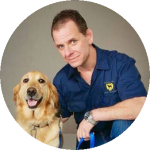 Continuously certified since 2009, Tony has worked with several Master Trainers and bed bug dogs giving him the most complete training and education in the art of bed bug scent detection. The National Pest Management Association / Best Practices manual suggests ONLY using a dog that is currently certified by a third party evaluator, and has proof of certification. 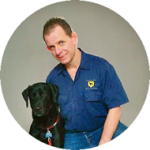 Tony Haigh and Piper, Heather and Brigitte know how to work closely together to quickly locate any areas that have been infested by bed bugs. Once we verified the presence of your bed bug problem, now we can help you directly or with any pest control company you choose….Chances are we have an existing relationship with them. 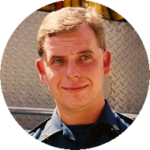 We have had so many requests for our services, Tony has put together top of the line technology with motivated technicians and now proudly can answer the call for help. We encourage you to compare our experience against any other provider. Piper and Brigitte will sniff out bed bugs that humans would never find. Our bed bug detection service is not only thorough; it’s very fast and effective. Seattle’s Best Pest Detection has operated as the premier homegrown, independent detection and services provider in the area. Our goal is to PROVE to you that you have a problem, then help you solve it. We are going to show you where and what we find. Please visit our Media/Video page to see footage of Piper in action…As well as all of our media attention. Be sure to watch the video till the end! Give us a call to meet Piper or Brigitte in person. Set up your appointment today with Washington’s bed bug dog authority! Seattle is now ranked #39 in the nation for bed bug calls! It’s not difficult to come in contact with bed bugs these days. The National Pest Management Association’s figures state that 1 in 5 people have either dealt with an infestation or know someone who has. Some of the more recent reasons for the resurgence of bed bugs are international travel, population density, resistance to pesticides, less effective pesticides, and transfer of used goods, not to mention inexperienced pest control. We do not recommend DIY treatments, Poor application can drive surviving bugs into hiding. 3 out of every 10 people never develop the itchy reaction to bed bug bites, so they may not even know they have a problem! Just one of these folks in an apartment building or other shared wall situation can spell trouble for neighbors. Our bed bug dogs can provide you accurate results giving you peace of mind and protecting your bottom line. Big or small, start to finish….Your problems are over! Just let us know how we can help! We can provide any or all bedbug related services. We provide onsite invoicing, no mystery bills in the mail! Our Teams will provide you with immediate results. If we have a positive detection and verification of bed bug infestation, we can share our experience on a variety of treatment options and what may be suitable for you. We are a leader in Seattle with a proven track record of success. 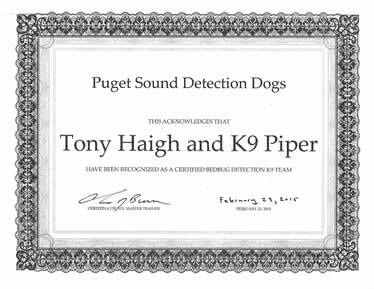 Tony Haigh is now in his 8th year along with 10 annual certifications in canine detection. 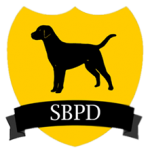 There is no doubt that SBPD will provide the most experienced canine inspections in Washington State. Piper was expertly trained by Nicole Reusser of Rock Solid K9. She is 5 years old, agile, athletic and DRIVEN! Nicknamed by the trainers and evaluators as ” The Machine” Piper has wonderful energy and ability. Brigitte is a 5-year-old Golden Retriever that is fun loving and full of energy. Brigitte began her bed bug detection training in April of 2013 with Elite Dog Detection and Training out of Lake Elsinore California. Scent detection dogs have been helping us tackle day to day problems of surviving on an often harsh and unforgiving planet for a while now.